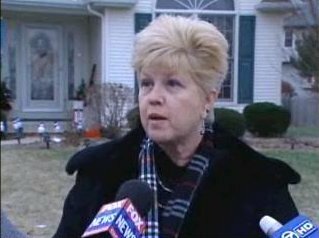 "God told them Stacy's body was there" ILL 12/26/07 Craig Wall (www.myfoxchicago.com) (VIDEO): "New Development in Peterson Case"
"The photos and letter were turned over to the State Police. 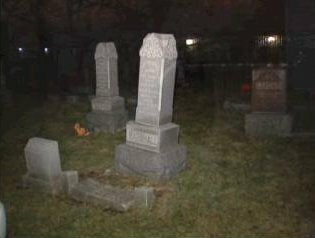 The evidence directed them to a small church cemetery in Indian Creek Park. 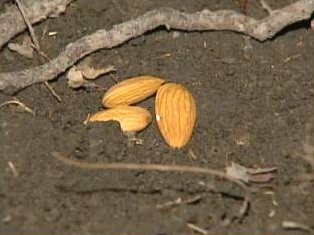 Detectives went there today and found a fresh grave site that had almonds thrown on top of it. 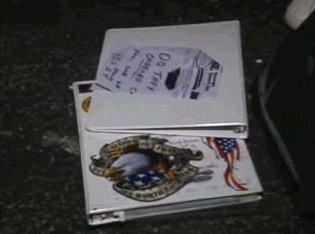 They also found binders and a typed diatribe where according to the cemetery caretaker the writer said God told them Stacy's body was here a source tells me. Investigators don't think this lead holds much promise. Peterson's attorney said his client has nothing to do with it and says this whole thing is probably the work of some lunatic. State police did interview another neighbor who also got a similar letter but they left without commenting and that neighbor did not answer when we knocked." December 26, 2007 "the name "Stacy" was found spray-painted on her mailbox, with the "t" painted as a cross." 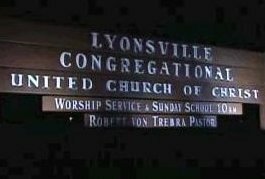 ILL "On Christmas, Bychowski said, the name "Stacy" was found spray-painted on her mailbox, with the "t" painted as a cross. 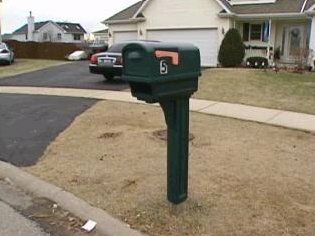 Bychowski said she and her husband shrugged off the incident, which they figured was meant for Drew Peterson's mailbox, and scrubbed off the graffiti. Then about 2 a.m. Wednesday, she said, they woke up and noticed a cab circling in their cul-de-sac. "I said, 'Maybe he's doing his paperwork,' " she recalled, but her husband, who drives a limo, said no driver does paperwork at 2 a.m. Then they saw the cab leave, so they went back to bed. They awoke to find the pictures in the yard and the stocking on the mailbox, which was open. Anthony Laatz, administrator of findstacypeterson.com, said a few bloggers predicted something would happen around this time. He said he planned to forward the posts to state police." National Enquirer "Included copies of a National Enquirer story about the Peterson case with the headline: "Mystery of Cop's Missing Wife . . . Solved!" 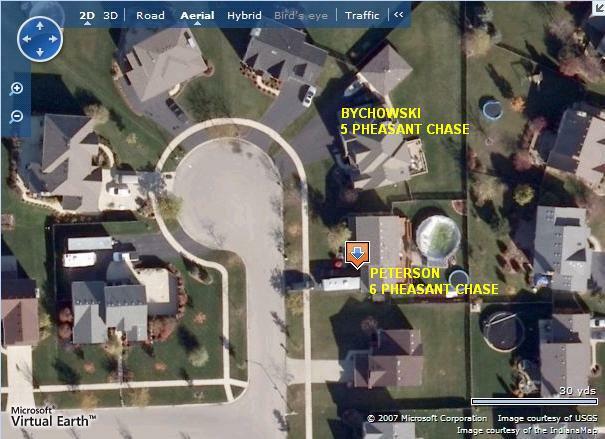 ILL "Stacy's neighbor finds cemetery map in front yard"
"But Bychowski says she suspects someone targeted her for a reason. "I'm right next door to Stacy, and [the public] has known from the beginning that my purpose is to find Stacy," Bychowski said Wednesday. "She's my best friend." Bychowski called Bolingbrook Police Chief Ray McGury after she and her husband found the assortment of objects Wednesday morning. The objects, some of which were in her mailbox, included copies of a National Enquirer story about the Peterson case with the headline: "Mystery of Cop's Missing Wife . . . Solved!" 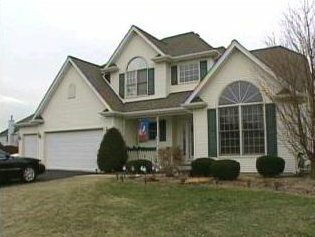 McGury said two of the Petersons' neighbors found "non-threatening letters" in their mailboxes Wednesday. McGury said both offered a "possible location" for Stacy Peterson. All of the materials were turned over to State Police. McGury called the letters upsetting, but said they appeared to have been written by "somebody playing a pretty sick prank." 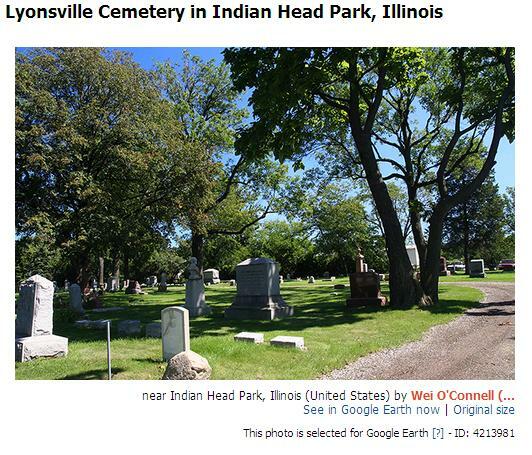 December 27, 2007 Grave photo delivery person found ILL "It turned out it wasn't a real lead. Illinois State Police found out who the person was who'd done it. It was a man. And it seemed like he was just a little bit emotionally involved into this case, and not completely stable. "They found him and questioned him, and it turned out not to be anything of use for the case." as long is this case stays in the media!" I am new to this forum. I want to start off by expressing my sympathies and hopes for the family and friends of stacy. I know what it is like to have someone close missing for so long. But here is my reason for posting on this forum. This grave sight that you speak of, which was tampered with this week is that of my beloved Aunt. She was such an amazing woman...a minister and a member of the church where she was buried. It was a horrible thing to find out that someone had tampered with her grave, that we believe the police did as well. 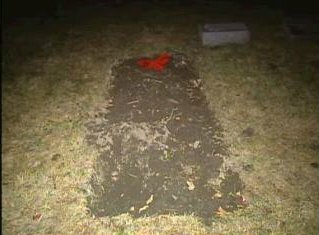 However, it was even more disturbing to see that Fox news not only broad-casted the location of her grave site, but walked all over it in order to get a "good shot" of it. Dead or alive she is still a beautiful person who we loved so much and does not deserve to have the media trampling all over her final place of peace and then put it on the tv thus turning it into a tourist attraction or spectacle. She died this past september after less than a year of battling cancer. My family has not yet selected a headstone which is why the grave is unmarked. My boyfriend and I were stopped by the police last night while we were trying to wish her a merry christmas and pay our respects....This is unfair. I watched them lower her into the ground....there was no Stacy. Anyhow...I thought I would clarify that....I want people to know that someone is resting in that "fresh hole in the ground" and she is terribly missed and loved...she is a soul and was a person and not some sort of freak show....she deserves some peace finally after so much time of hospitals and illness and pain. I have been trying to contact Fox News to express my complaints with them, but can only do so through their stupid email forum on their site....I want to know if anyone knows a better way to contact them...say the General Manager, Patrick Mullen. I ask that all of you, if possible, express your discontent over this situation with your local media and especially with Fox News. I would greatly appreciate any advice in regards to contacting Fox News Chicago and also any information anyone can provide about who started this whole thing anyway. 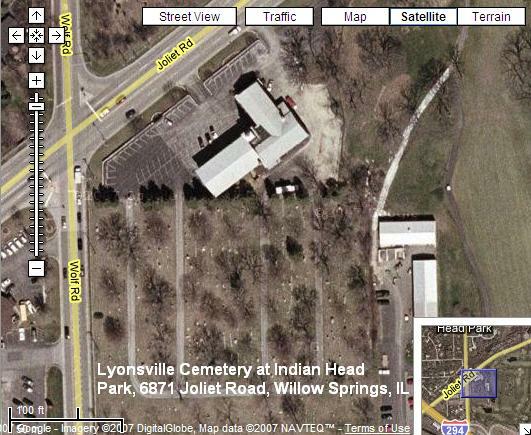 The police never contacted my family about what happened to her grave...they never asked permission to mess with it. The church contacted my mother and didn't give her much information. I just ask of you....how would you feel if this was the grave of your loved one? The media does not have the right to disrespect the dead and the families of the deceased as well. I understand the need for this case to remain in the media, but my deceased Aunt should be NOWHERE near it.